School partners are critical to the success of TennisWorks. When we have the opportunity to work directly with teachers and classroom assistants, we can make direct connections between what students experience on the court at The Fort and what they learn at school, strengthening the impact of both experiences. At each of our partner schools, at least 85% of students qualify for free and reduced lunch. Andersen is our longest standing school partner! Every Wednesday and Thursday, thirty-nine 3rd through 7th graders take a bus to and from The Fort! Combining age-appropriate tennis activities and life skills enrichment programming, the young people from Anderson are divided into three groups where they come up with a team name as well as team and individual goals. The Black Tigers are working on becoming better tennis players by improving their listening skills with their coaches. The Tennis Gurlz are working on being safe and persevering by never giving up. The Minions are striving to become better tennis players by working on their control. Urban Academy is a charter school in St. Paul with eager and attentive students, but no gym space for physical education programming. 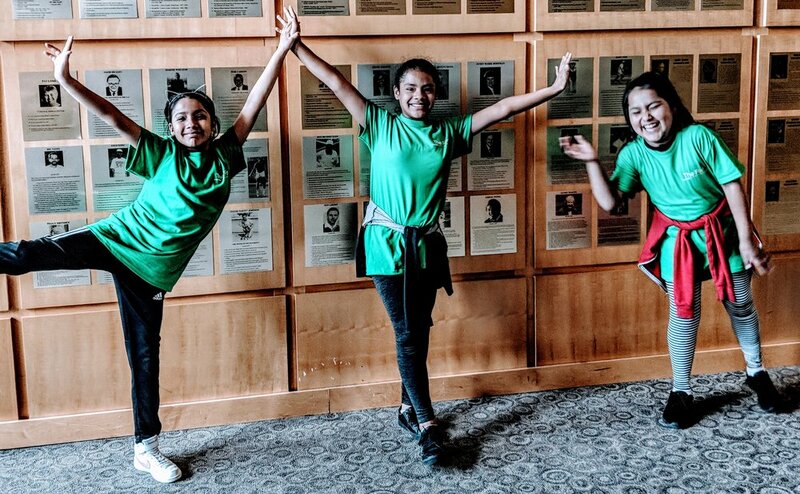 Regular field trips to The Fort are built into the curriculum for every class in grades 3 - 6, so the youth can improve their physical literacy, be exposed to healthy activities, and learn a new sport. Located in South Minneapolis, Bancroft is a valued partner of The Fort. Every Monday and Tuesday, thirteen 3rd and 4th graders jump into The Fort's van after school to experience tennis and life skills programming. The youth came up with three team agreements for their time at The Fort: Be Kind, Be Safe, Be Respectful. Their favorite snack is to make rice with their coaches. We know that we don't exist in a vacuum--in fact, we're lucky to share the Twin Cities with many incredible non-profits that share our overarching goal of inspiring youth to succeed. We work with many of these groups in a variety of capacities, from hosting joint events to sending our students on retreats. Macalester and The Fort have cultivated a wonderful partnership over the last several years with field trips for elementary students and tennis-themed science experiments for middle schoolers so youth can truly experience life on a college campus. Tennis and Life Camps have partnered with The Fort to scholarship youth to both winter retreat camps as well as summer junior tennis camps. Youth are recruited from our after-school programs to give them an opportunity to take tennis to the next level, meet new people in a supportive environment, and experience a college campus outside of the Twin Cities metro area. A section office of the United States Tennis Association, USTA Northern is a valued partner offering guidance, training, networking opportunities, equipment, and financial support to The Fort. Several members of The Fort staff are on volunteer committees for USTA Northern and/or are involved with administering USTA sanctioned programming here at The Fort. Through a shared purpose to positively influence the lives of youth through tennis and education, The Fort partners with InnerCity Tennis and St. Paul Urban Tennis to provide resources and a comprehensive pathway of accessible play opportunities for kids from the first exposure in a school or outreach setting through high school and beyond. In partnership with USTA Northern, Youthprise created the Urban Youth Tennis and Education Fund to leverage resources and support innovative new approaches to tennis-based youth development programs. This fund supported the creation of the popular Fort First Fridays events and catalyzed new conversations with similar organizations to increase efficiencies and impact.